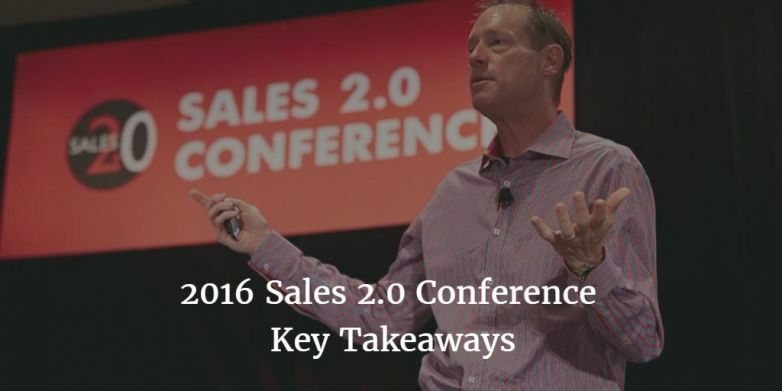 It’s been a great experience to be invited to the Sales 2.0 Conference with over 200 sales professionals in San Francisco to share the latest and greatest of Selling. Sales 1.0 was about Rodolex, index cards, sales program on a PC. Buyers and sellers met face to face. Sales 2.0 was introduced with the Web and Social. Buyers and sellers initiate contact online. Week 3-5 Go to market. Sell! IV. J Steven Osborne, CEO, Top Gun Sales Performance stated “Stop Training Your Salespeople! It doesn’t work”. Use workshops to learn skills, not to transfer learning. Knowledge can be transferred BEFORE the workshops. V. Judy Buchholz, General Manager, Digital Sales, IBM shared how to build a Digital Sales Culture. Over a year ago IBM decided to change roles and titles to adapt the sales culture to a Social and Digital approach. They have developed a two year certification training. At the end you sit for a test with an external organization. You cannot move ranks unless you demonstrate digital skills. To kick off the program she suggested starting with a very segmented target, show results and expand. VI. Michael Schultz, Vice President, Marketing and Business Development, ClearSlide, talked about Crushing the competition with tools. ClearSlide provides a software to take your sales calls to a new level. Use Engagement Data over Activity data. Validate buyer interest, Qualify Opportunities with buyer engagement data. Single Source of Truth. Embrace Mobility. Make content available 24/7 on the go to the reps. Use content libraries that show what has worked in the past. Crete Libraries of what has worked to help reps get to speed faster. 71% of companies take 6 months or more to ramp new sales reps. Create a Perfect Pitch Library to Onboard process. Real Time activity Feeds helps learn from each other. Follow the Deals and Details that matter. Leverage meeting recaps for coaching. VIII. John Turner, Senior Vice President, Sales, TriNet proposed the guiding principles for the Quest on How to Create a “Victory Plan”. 6sense offers Predictive Intelligence. It analyses Marketing and Sales data of buyers leaving the trace of what they need so the can predict clients for companies. She fundamentally believes that if you give space and trust to salespeople they will leave up to those expectations. Let them room to be themselves and encourage them to be the best versions of themselves. Just Make sure that you set the boundaries beforehand. X. Matt Heinz, President, Heinz Marketing Inc. on how to approach Sales and Marketing working together. Marketing should have a direct line to revenue growth, on Opportunities created, not just leads offered to sales. A couple of additional tips: “Sell the hole, not the drill”. Marketing, PR people need to stop talking about product. Marketing owns 53% of the sales process, by loosing that status quo. Come up with the right questions so your client can reframe his problem. 2. Creating content. Sales should not be doing it. 3. Finding Content. Sales spends too much time finding content! The Outside Upside: Field sales teams bring costs up. The floor for the Outside is rising too. Use Smart Targeting (machine learning, predictive analytics) to lock on high probability accounts. The Inside-Outside Alliance. It makes sense to segment the Sales functions. Explore Shared Territories, Shared Accounts. Inside and Outside working together. L4 – Strategic Partner: Enter a Relationship – Trusted advisor, strategic, proactive . Value creation based, Caring Based, Proactive, Accountable. Insights Driven, Future Oriented, Strategic.